Tucked away on Highway 61 in West Ashley are several beautifully restored historic properties. Among them is Magnolia Plantation, a sprawling estate that boasts a 300 year old garden, a Victorian style main house, conservatory, and petting zoo. For their idyllic Magnolia Plantation wedding, Katrina and Alex allowed the natural beauty of the property to shine through in their outdoor ceremony beneath the oak trees. 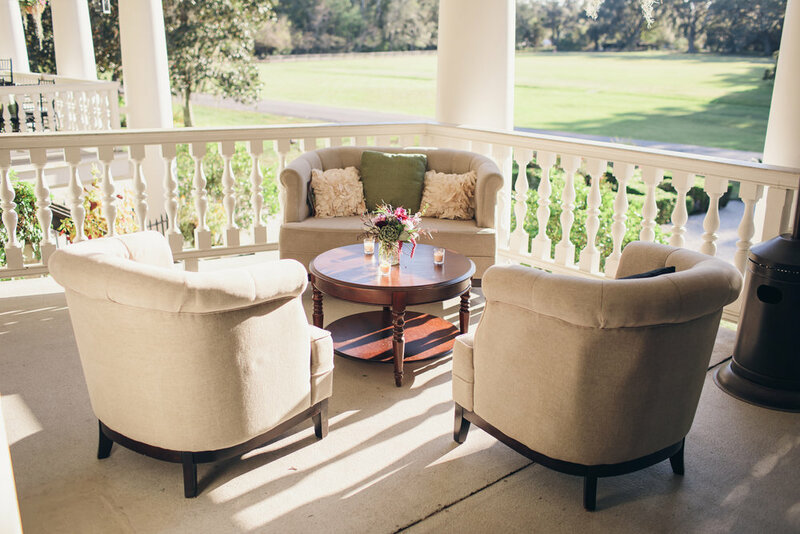 They capitalized on the cooler Lowcountry weather in their October nuptials to celebrate with their family and friends in one of the Charleston area's most stunning venues. Photographer Nathan Bell of Richard Bell Photograpy remembers, "With the fall sun lighting up the Spanish moss around and fall flowers blooming, it was a beautiful day for this sweet couple." The late afternoon sunlight, ancient oak trees, and beautiful garden blooms came together to create a ceremony and reception that was nothing short of magical.